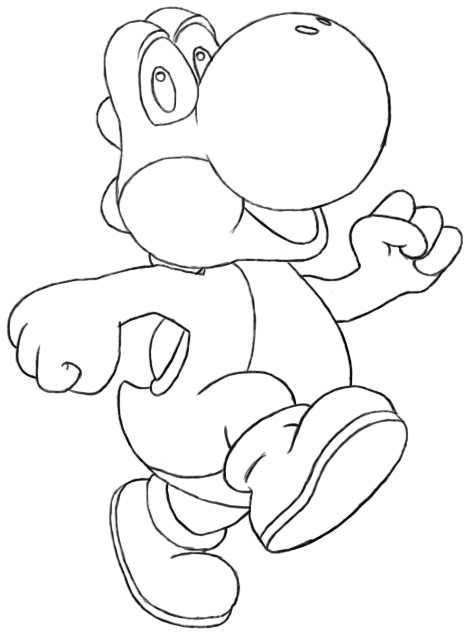 We are going to teach you how to draw a yoshi’s woolly world through an easy step by step process on paper. The difficulty level of this video tutorial is set to beginners, so try this tutorial confidently and in a subtle manner. Watch the video below and enter into a majestic Yoshi’s Woolly world. With Japanese name come in mind all exciting Japanese games you played till now so we recommend you to play this amazing video game. Watch the video carefully to get most of it. Yoshi’s Woolly World, known in Japan as Yoshi Wool World is a successful Nintendo video game and is very popular among kids and adults. This video game is all about yarn and cloth. The player assumes the character of yoshi. The game is set in a world where the characters and environment are composed of yarn and cloth. Unlike other games where swallowing enemies would produce eggs which Yoshi could then throw, Yoshi instead produces balls of yarn. These yarn balls have various uses when thrown, such as tying up enemies or filling in certain platforms and objects. It is a two player game and both players can help out each other. If you have watched this amazing cartoon world movie and willing to get more of it, be ready to get rolling into all new video series we should be uploading soon. This video will provide you with a good experience on how to draw cartoon shapes and cartoon world terrains and scenarios. Share this video with your friends on facebook by hitting the share on facebook button below and be prepared to watch other epic and thrilling episodes on how to draw anything on paper.